From time to time we go on listing appointments whereby the seller doesn’t like their current market value, so they decide to wait until the market goes up to sell. Waiting for market increase could cost you money. We know why sellers overprice their home. It’s always one of three reasons. Need, greed, or ego. We all know the market doesn’t care what a seller needs to sell for, nor does it care how much a seller would like to get for the home. This brings us to ego. Some sellers want to sell at a certain price because they don’t want to lose money. You might think this is greed, but it’s actually ego. It’s an ego thing to hold out for break-even or better. It feels good to tell people, or yourself, that you didn’t lose money. If anything, you made money. Sometimes ego can get in the way of a sound financial decision. First, you’re not guaranteed to make money on every deal, and it’s not your fault. The market can change, the economy can change, and demographics can change. All are beyond your control. You win some, you lose some. And nobody else really cares how you did except yourself. So if we’re into convincing ourselves what the best decision is, let’s look at the whole picture. I took a real-life scenario and broke it down. At the end, you can answer what the best decision is. Seller has a home that’s worth $400,000. He really wants to sell for $420,000. He knows it’s 5% above the market and home won’t appraise, so he figures he’s better off waiting until next year to get his money. Is he better off though? The seller’s home is 12 years old. At some point it will need a new roof, air conditioner, water heater, pool pump, etc. This seller owes $350,000. The principal and interest payment is $1,670.95/mo. Additionally, they pay $4,000/yr in taxes, $2,000/yr in homeowners insurance, $500/yr flood insurance, and $3,600 yr in HOA fees. And there is no guarantee this home will be worth more next year. In that case it would really cost the seller. There is one more cost to think about as well. Unless the seller already owns their next home they have to replace the current one. If their home goes up 5%, it’s logical to assume their next home may go up about 5% too. So did they really save anything? And even if they already own their next home, did paying taxes on two properties and all the costs save them? Definitely not. So next time you’re forced with a decision on price, ask yourself this question. Is my motivation based upon need, greed, or ego? If the answer is yes to any one of these, calculate the cost of keeping your home versus the expected gain and evaluate. Often the best answer will be to sell now, in which case you’ll have to decide what your bigger need is, a sound financial decision or a happy ego. An ego doesn’t know any better. It’s based upon the information you give it. If you tell your ego you’ve come to a logical decision based upon facts, your ego will surprise you and reward you. Good luck and Happy House Hunting! 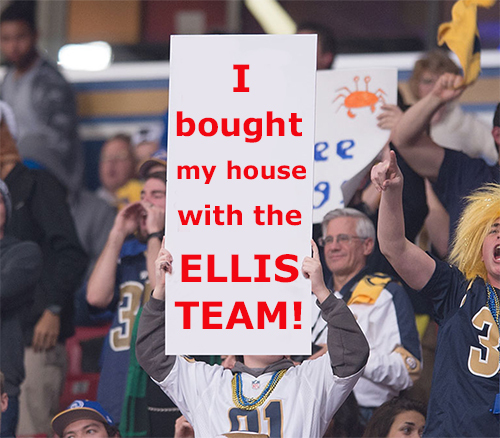 Always call the Ellis Team! 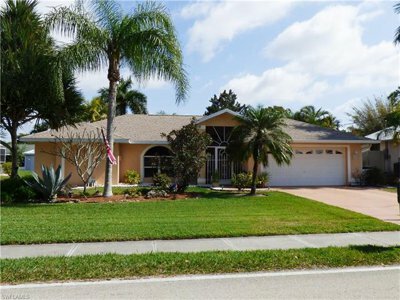 Posted in Cape Coral, Cape Coral Real Estate, Fort Myers, Fort Myers Real Estate, Gated Community, Golf Course Property, Open House, Southwest Florida Real Estate. Welcome to the 2017 Southwest Florida State of the Market Report. We love this time of year as we get to analyze how the previous year ended up and give our insights on what the future year may bring to us. The headlines may read that 2016 ended with a whimper. We might disagree. All year we were saying sales were down and prices were kind of flat. This was true. 2015 sales prices were revised downward in the latest official release so the 2016 numbers appear better than they were. 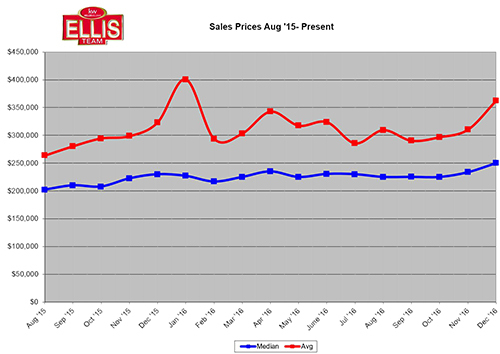 We eked out an 8.3% median price increase which is fantastic considering many months were flat. December’s numbers really helped the year. 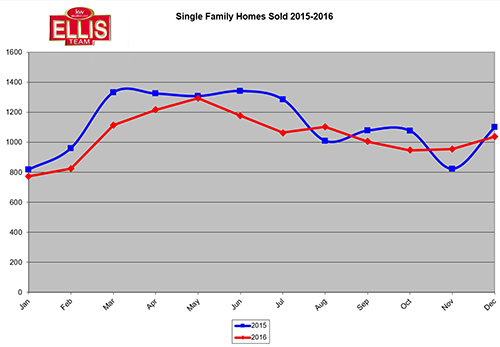 The last 6 months of the year showed median prices hovering between $225,000 and $230,000. 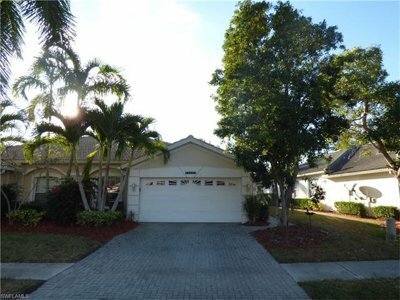 December’s shot up to $249,900. Additionally, the number of homes closed shot up in December as well. 2016 sales numbers were down all year. Closed sales were down 6% for the year. For the most part we were behind last year’s numbers except August and November. This is not uncommon when prices rise. 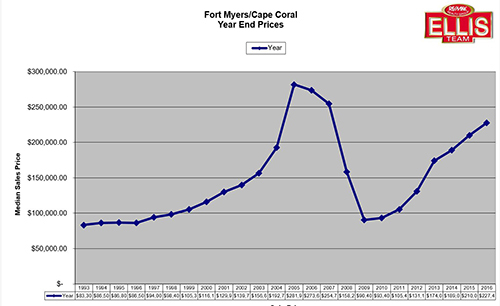 As you can tell from the year end prices chart, we’ve come a long way back. Would you rather be where we are today or 2007 which was a bit higher? We’ve got a healthy market today. We did not have that in 2005, hence the free-fall we experienced a few years later. We have end users for our homes now. Back in 2005 we had speculators flipping homes from one speculator to the next. We had some cleaning up to do. I remember as a boy my mom saying you can’t go out and play until you clean up that room. That was Hell! All a boy full of energy in the Midwest wanted to do on a sunny day was go out and play. Being bottled up inside was no fun. We didn’t have all the video games and Internet, so outside was where it was at. SW Florida felt the same, only it lasted several years. Our market was Hell for anybody who bought in 2006, 2006, or 2007. We had some cleaning up to do. 2009 was the bottom of the market but it still wasn’t big fun. Today almost everyone is outside playing, and most everyone has a clean room at home. January started with a bang this year. We think for the first time in a while there is genuine optimism about the economy. This past election was fierce and gruesome. People are glad that’s over and looking forward to lower taxes and a smoother mortgage process. Both are in the works. Nobody knows how long this excitement will last. All we can tell you is 2017 season has started off well, and we expect it to end well. If a seller prices a home correctly, it will sell. If a home is overpriced, it will sit. Buyers are competing to win a home. If a home is priced at market, it may attract several buyers. We have a balanced and healthy market. Sure, we’re not back to the height of the market, and that’s OK. Those numbers were not supported by end users or income. Today’s demand is supported by people needing a place to live, not a speculative get rich scheme. 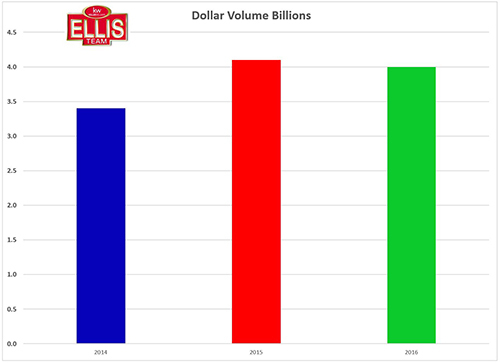 We have a full State of the Market video on our Facebook page www.facebook.com/Ellisteam or watch below. Be sure to search the MLS at www.LeeCountyOnline.com or get neighborhood reports here too. If you’d like to talk to us about the market or how we could sell your home and find you a better home for you, please call us at 239-489-4042 Ext 4. Brett and Sande are easy to talk to and we’re never pushy. We present you with your options and we’ll help you accomplish them! 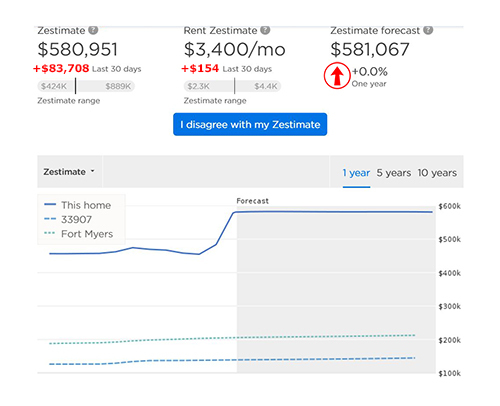 Are Zillow Home Value Zestimates Purposefully Inflated? One of the common question real estate agents get from sellers centers around a home’s Zestimate on Zillow. Deep down sellers know what homes are selling for in their neighborhood and how their home compares. Often, they just want to try a much higher price simply because Zillow says their home is worth more. We attempt to answer the question, Are Zillow home value zestimates purposely inflated? The buzz amongst real estate agents is they can’t believe how far off many Zestimates are these days. Agents laugh anytime the words Zillow and home values are mentioned in the same sentence because they know they’ll have to explain how inaccurate these things tend to be. Last weekend I had a conversation with one of our sellers. She brought up her Zillow Zestimate. Within 15 minutes after that conversation I went outside to work in my yard and my next-door neighbor asked me about his Zestimate. He noticed it went up over $100,000 last month and wondered if the real estate market was that good right now. Of course, his value didn’t change $100,000 last month. Perhaps you’ve heard the story of Zillow CEO Spencer Rascoff. His home was valued at $1,750,405 on March 1, 2015. The funny thing is, it sold 1 day earlier for $1,050,000. That’s a difference of $700,405. Put another way, Zillow was off over 40% on their CEO’s own home. So is Zillow’s data that bad, or could there be another motive? Let’s remember where Zillow gets its revenue. Zillow charges agents, property managers, and lenders to appear on their website. They are gathering leads to sell to agents. Some agents pay several thousand dollars per month for these leads. Zillow takes MLS and public records data and assembles them and markets that data to the public in the hopes of attracting eyeballs to its site. To increase revenue and charge more to agents, brokers, and lenders Zillow must increase visits to the site. One way to do that is advertise more on the Internet and TV. Another way is to change up the values frequently in hopes of getting repeat viewers to come back often and see what’s going on with their value. We get it. The market changes every day. It doesn’t typically change $84,000 in one day. So, either Zillow’s algorithm for calculating values is off, the underlying data are off, or they are trying to create a buzz by getting people to check back repeatedly. In the news business, they call it Click Bait. Click bait is when editors write a sensational headline to get readers to click on the article. It could be fake news, doesn’t matter. If the headline works, it attracts readers which ups the hit count. The higher the hit count, the higher the advertising rates. Most reputable news organizations don’t utilize this tactic. They don’t have to because they have valuable content. Tabloids on the other hand use this with perfection. Agents are paying top dollar presumably for new leads not realizing Zillow is stoking the fire by attracting the same old leads repeatedly. Consumers may be unaware that Zillow now has data on everyone who has checked their home value, and they are selling data like that. Zillow says that nationally their Zestimates are off by 7.9% on average. That’s a lot! However, in Seattle where their CEO’s former home is located, they claim to be more accurate at only 6.1% off. Can we really trust their numbers when they were off over 40% on their own CEO’s home? 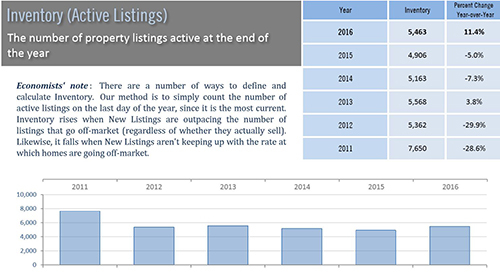 If you’re thinking of selling, we have an automated valuation tool that may be more accurate. More importantly, we will never sell your info to other agents and brokers. Why would we? We want your business. We’d love to earn your business. 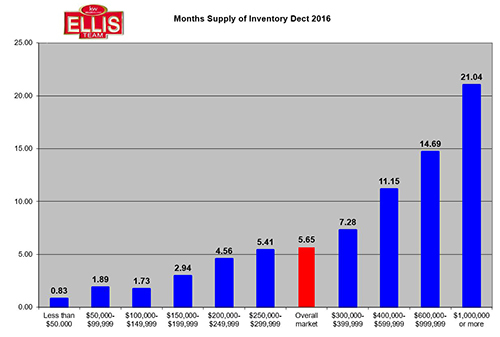 If you’re thinking of selling, call the Ellis Team at Keller Williams 239-489-4042 Ext 4 Let us show you how we put more money in your pocket at closing than other Realtors and how we sell homes Fast! And, we’ll show you what true Top Dollar is for your home so you can make accurate decisions. We’re here to help. Always ask for Sande Ellis or Brett Ellis. 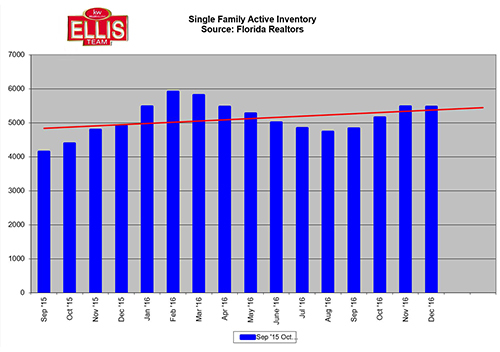 Read about Southwest Florida Real Estate Market Statistics to be released tomorrow. This weekend is the Keller Williams Paint the Town Red Event. We’ll have around 100 homes open in a single day. It’s the single biggest open house event of the year. Check back as we’ll be posting the addresses here. It takes a team to win a Super Bowl. This weekend America will tune in and watch the two best football teams square off in the Super Bowl. Fans will be rooting for their team. Others will be watching for the commercials, and others just love a reason for a party. Super Bowl weekend is one of the biggest party gatherings of the year. There’s just something in it for everyone. Winning a Super Bowl is a lot like a winning real estate transaction. All football teams start pre-season, endure a grueling season, and the most successful teams at end of year have a chance to compete for the grand prize. Sure, you can make some mistakes along the way. You don’t need a perfect record during the season, but you do once the playoffs start. One setback will end your season and its game over. In real estate, the pre-season is interviewing and selecting agents if you’re a seller. Having the perfect agent doesn’t matter if your goal is to win some and lose some. If your goal is the grand prize, which is selling the home, then you can’t make mistakes during the playoffs. If you’re a buyer, the pre-season is casually looking for homes on various online sites or visiting open houses just to see if anything catches your fancy. You’re not ready yet, and that’s OK. But then something happens to buyers and sellers, and they decide now is the time to take that leap. Not the Lambeau leap, the real estate leap. Have you ever noticed that certain football coaches tend to win more Super Bowl’s than others? In the last 15 years it tends to be the same coaches over and over. Have you also noticed most NFL coaches never win the Super Bowl and they get fired? It’s true. That’s because they can’t bring home the trophy. They might have a winning season, but lose in the playoffs when it matters. This get’s us back to the original goal. Is your real estate goal to have fancy brochures and a high price so you can tell all your friends what your home is worth? Or is it to actually sell? Brochures are nice, and they don’t sell homes. Hall of fame coaches have systems in place that work. Winning coaches exhibit the same common traits. This is the difference between obtaining the goal and settling for just looking good. All coaches are not the same. Neither are real estate agents. The traits of a good coach listed above sound a lot like the traits of a great Realtor. Agents do not advertise the same. 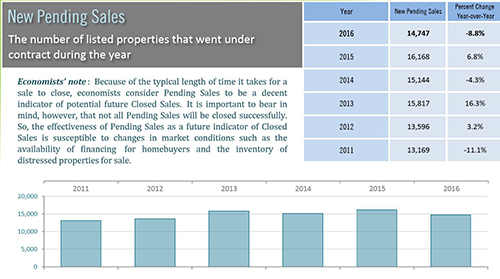 Many don’t have the experience to get your home from pending to sold. Some agents never make it out of pre-season because they price the home wrong to begin with. Agents sometimes recommend taking the wrong offer, or not waiting for a better more qualified offer. These are all mistakes agents make that can cost a seller thousands. It can even cost you the sale. You might say these are rookie mistakes, but not always. These could be seasoned agents that are decent. They’re just not trained as well as a Super Bowl winning coach. They don’t have that level of experience. Experience matters when hiring an agent, just like it does when hiring a coach. If you’re a NFL general manager and your owner wants to win it all next year do you hire a coach like Bill Belichick or Tom Coughlin, or do you pay less money for a less experienced coach? Remember, the big prize is the goal, and anything less is not acceptable. 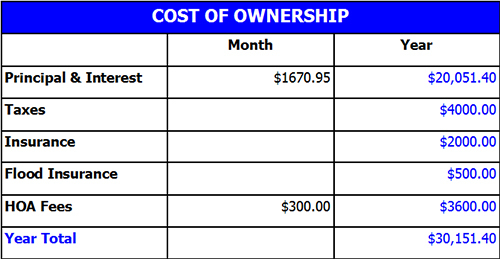 The cost of losing exceeds the cost of winning. Losing can be life changing. So can winning. If you’re looking for experienced, world class Realtors who have been the Top agents in Lee County many times, you should call the Ellis Team at Keller Williams. You’ll be glad you did. Ask for Sande or Brett. 239-489-4042 ext 4 or visit our MLS Search Site and find your dream home. If you’re a seller, you can get market reports and home values for your home Free! Now that’s a winning combination. Enjoy your Super Bowl party! And don’t forget, Spring Break is just around the corner. We though you might enjoy watching the Cincinnati Firefighters put on their daily show courtesy of the News Press and the current Spring Break schedule for 2017. Ask to join our Ellis Team Seller’s Club. 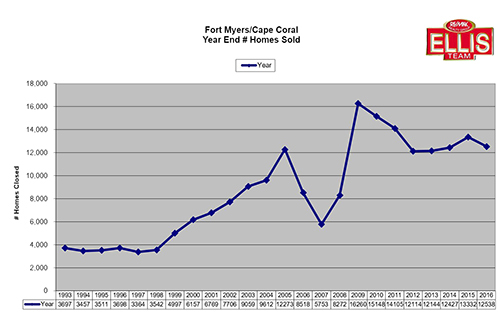 Next week we’ll be releasing vital year end statistics for the 2016 Southwest Florida real estate market. If you’re a buyer or seller, you’ll want this information before other buyers or sellers receive it. We’ll email you the video when it’s done.